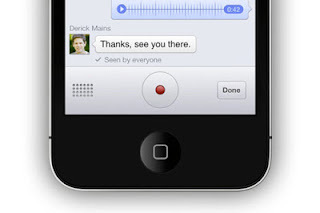 It will be possible to talk instantly with your friends through voice over internet (operator attention to the bill anyway) or simply leave a message voice . For the moment this feature is reserved for Canadian, probably with the idea of ​​making life tests to see if the servers hold up. For the moment the French version of the app does not offer this functionality, but it is only a matter of time. Facebook messenger applications directly compete so the same type, ie Skype, Whats App Messenger or Viber. In addition, the fact that 1 in 7 people have a Facebook account makes use of the messenger app much simpler than using other apps that require the creation of a specific account.